I am constantly finding new and creative ways to save money. Alas I bump into this Japanese method that helps one save money and even cuts spending by 35%. It might not be a relatively new idea since this was introduced way back in 1904 but its mechanics can still be used up to this day. Introducing Kakeibo, pronounced kah-keh-boh. The translation is household financial ledger. This is a physical notebook where individuals write their spending patterns to save money. While listing down expenses to a notebook or a diary is not new, Kakeibo has a more organized approach. The notebook that was created by journalist Motoko Hani has inspirational messages to encourage individuals to save and reach their goals. It also has spreadsheets to help you keep track of your cash inflow and cash outflow. Every month, the individual will need to sit down with the book/ledger in order to plan this month’s finances. The Kakeibo spending is divided into four categories. These are survival, optional, culture and extra. These are the categories I am so delighted to know. And these basically covers more than our needs. Let us know each one in detail. Survival Category. This category spans one’s basic necessities. This includes food, transportation, medicine, utilities and the like. Optional Category. This category covers more of the wants. This includes money for shopping, dining out and related expenses. The individual or the family can still go on with their lives even without spending a peso in this category. Culture Category. This category might be relatively new to me but I like how this is categorized in culture. This is money intended for books, movies to watch, music to buy and the like. This is money allocated to enriching one’s self. And I personally love having this category included. Extra Category. This category covers gifts, home repairs and related expenses. The four categories above work very like the envelope system. The individual would have to allocate money for each of the category. For instance, if the money allotted for culture is depleted already for the month, you will have to wait for the next month for another round of budget. You must not use the money intended for the other categories. 2. How much would you like to put away? 3. How much are you actually spending? 4. How can you improve on that? Even at the end of the week, there’s a reflection box in the ledger to review whether the individual is in the right track and meeting their targets. With the help of the Kakeibo ledger, this will make you aware of what you’re spending on. You can even realize on the bad habits you’ve incurred for the month like excessive dining out. It is also a realization why you might not be hitting your saving goals and just wasting money month over month. Kakeibo helps you pre-plan where your money goes. Your money is split in the four categories so you will know how much you can spend on for each. Paying attention to your money is very essential in personal finance. Without it, you might not be able to reach your saving goals and your financial goals in general. 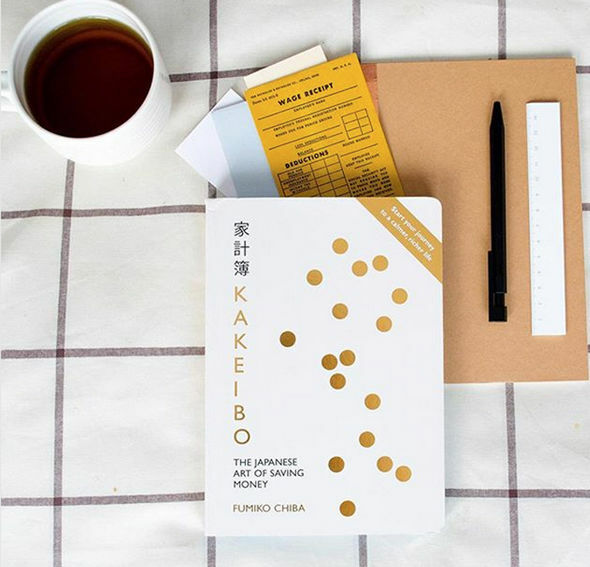 Here is where Kakeibo comes in as it provides detailed notes on your money, where it goes, the way you spend and reflections in the end. P.S To those doing the 52 Week Money Challenge, it is Week 4 already! Did you deposit the next amount yet?